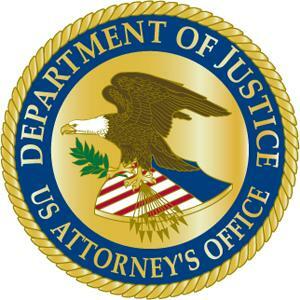 SHERMAN, Texas – A 47-year-old Minnesota man has been sentenced to 24 years in federal prison for violations in the Eastern District of Texas, announced U.S. Attorney Joseph D. Brown today. Derek Mylan Alldred pleaded guilty on Dec. 21, 2017, to mail fraud and two counts of aggravated identity fraud. Alldred was sentenced to the maximum of 288 months in federal prison today by U.S. District Judge Amos Mazzant. Alldred was also ordered to pay restitution in the amount of $254,892.41. According to information presented in court, in April 2017, in The Colony, Texas, Alldred began a relationship with a victim that met online through a dating website. Alldred presented himself as a United States Navy pilot, a Department of Defense analyst, and a professor at Southern Methodist University. He was using the name, Richard Tailor. During the time he was in the relationship with the victim Alldred used her credit card to order various items and have them delivered to him at her residence. He also used the card to make various charges in The Colony, Texas. After the victim became suspicious, she discovered Alldred’s real identity of Derek Mylan Alldred. By this time, Alldred had fraudulently charged over $12,000.00 on her credit card. The victim filed a police report prompting an investigation of the fraudulent conduct. The investigation revealed that during the time Alldred was defrauding the victim in The Colony, he was also in a relationship with another victim in Dallas. Alldred would tell one victim he had to go out of town to work as a pilot, and then have the other victim pick him up at the airport. Alldred also stole money from the second victim. Investigators were able to determine Alldred committed this same offense across the United States. Eventually, at least 25 victims were located in California, Nevada, Minnesota, and Hawaii. This case was investigated by the Naval Criminal Investigative Service (NCIS), The Colony Police Department, and the Fort Worth Police Department’s Fugitive Unit. This case was prosecuted by Assistant U.S. Attorney William R. Tatum.